“And yet” is exactly how I feel this weekend, after a week of anticipating that the synod of bishops would do the right thing and approve its draft statements which were so welcoming of lesbian and gay people. Certainly, the final negative outcome was disappointing. And yet. And yet, the welcoming statements in the final report only lost acceptance by a handful of votes that would have been needed to achieve the required 2/3rds majority. Similarly, the votes for the more restrictive language,which was approved, did so also only by the most narrow of margins, showing significant opposition to this approach. And yet, we caught a rare glimpse of the fact that there are many bishops who are speaking out for changes in the ways that the Church approach LGBT people. And yet, we witnessed an unprecedented week where discussion and disagreement among the hierarchy was evident in the media. And yet, we saw how ready and willing Catholic people are to accept changes in the Church on a variety of marriage, family, and sexuality issues. And yet, we have a pope who seems willing to push for a more inclusive and welcoming Church. “Paragraphs on those two points were the only items that failed to receive a two-thirds majority of the Synod of Bishops in voting on its final document. While there’s no magic to the two-thirds threshold in this sort of Vatican ballot, the results clearly reflect a divided hierarchy on both issues. “Despite considerably more cautious language, both items drew significant ‘no’ votes: The paragraph on gays and lesbians had a vote of 118-62 and that on the divorced and remarried drew 104 in favor and 74 opposed. ” ‘The task of the pope is to guarantee the unity of the church; to remind pastors that their first duty is to feed the flock — feed the flock — that the Lord has entrusted to them and try to search to welcome — with fatherhood and mercy and without false fears –the lost sheep,’ he said. 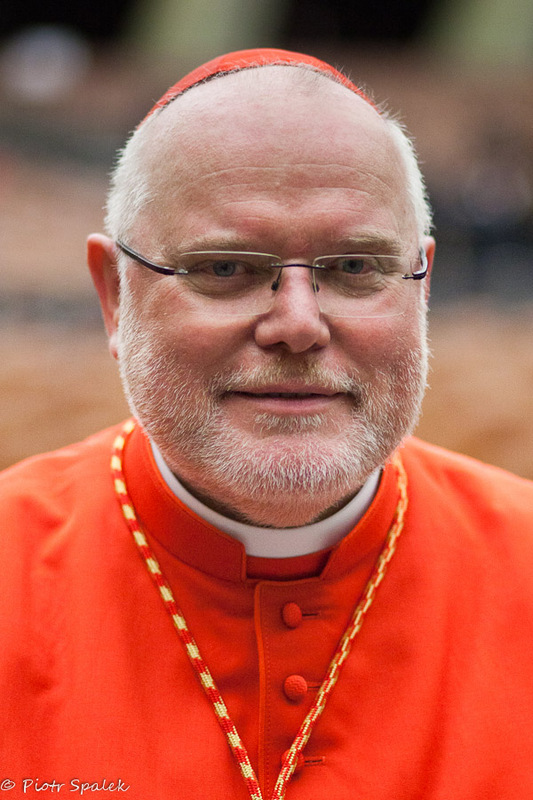 “Addressing a key question raised by the Synod of Bishops on the family, a German cardinal said Friday that church doctrine can change over time. ” ‘Saying that the doctrine will never change is a restrictive view of things,’ Marx said at a Vatican press conference Friday. This perspective highlights the fact that though traditionalists may have had the votes in this round, the experience of the synod points to the fact of significant disagreement on how to approach LGBT issues. That’s a hopeful point. Even with Saturday’s disappointment, it is still important to remember that we have already seen a “fascinating worldwide debate on the future of the modern church,” and that it will very likely only become more fascinating in the coming months . I’m reminded this weekend of another famous “And yet” statement. When Galileo was forced under the threat of execution to deny his claim that the earth moved around the sun, and not the other way around, it is said that immediately after his recanting, he whispered under his breath about the earth, “Eppur si muove.” “And yet, it moves.” May we all have the fortitude and confidence of Galileo as we continue on with this important discussion in the Church. New York Times: “What Is a Catholic Family? Unfortunately all that is coming across now is the headline sequence: a preliminary statement that the Church ‘welcomes’ gay people; then that the statement is curiously retranslated in the English version to ‘provide for’ gays; and finally that not even that is acceptable. So the message, loud and clear, is that the Church still does not welcome gays or even provide for them. Is this really going to reverse the huge numbers of young people leaving the church? This is what 30 years of conservative papal appointments of bishops has produced, especially under the scarlet-tressed Raymond Burke. I can only conclude that a huge percentage of these Cardinals are living in a state of emotional trauma, repression, denial and at least moderate (if not extreme) psychosis. My position is that they have NO LEGITIMATE AUTHORITY WHATSOEVER over the lives and the loves of faithful professing Catholics. We answer DIRECTLY TO LORD JESUS for the quality and the integrity of our loving relationships. And let me interject a deeply personal note here. I happen to be transcendentally married to my beloved soul spouse, Jeffrey Mylett, who passed away in 1986. (You can Google his name.) Being technically “terrestrially unmarried”, I am perfectly qualified to participate in the Eucharist, if I wish to do so. But there is NO WAY I am going to do so, as long as my terrestrially married GLBT brothers and sisters are denied full participation in the Eucharist. It is a matter of witnessing and solidarity, as long as some of our folks are being told by far-right-wing parish priests (like that character in Montana) that they are “unworthy” to participate, because of the gender of their married spouse. This discrimination is SO outrageous that it cries out to High Heaven for a direct redress by The Lord Himself. May He move quickly to repair everything that has become terminally BROKEN in the Church that He bequeathed to all of us — who have placed our abiding faith in His Promises to us. I like John very much — I’ve met him personally several times — and he’s a fabulous commentator. I totally understand his justifiable anger. He was for many years a practicing “Cradle Catholic” — who finally could no longer justify participating in a Church which has become clinically dysfunctional, almost to the point of displaying a collective institutional psychosis. Yes, I’ve seen this in other media reports as well: that a protest vote by more progressive Cardinals, a protest against the right-wing’s tampering with the original draft language, contributed to the opposition which killed the contested paragraphs. Small comfort…but a tiny ray of light. My main hope is that Pope Francis will now “get the troops in line”, and exert his executive leadership much more forcefully and effectively in the coming year. The only bit of welcome news from the debacle is that the hateful and notorious Cardinal Burke has been stripped of another one of his key positions, and is being packed off to an honorary post with the Knights of Malta. Goodbye and good riddance! Excellent article, Frank! It’s also good to remember that Pope Francis now knows what side the individual bishops are on and for what reason. May the Holy Spirit guide him with wisdom as he moves the church to a consensus. I live in Australia and work for a Roman Catholic aged care home. Many of my residents are aged priests a religious sisters. All embrace me as a gay man and never fail to enquire after my long term partner. That is good enough for me and I just hope the Vatican will some day accept the lives of gay people to be as valid as straights. I do not think your God says love the sinner but not the sin in this debate. And yet…..although the married couples were obviously hand-picked to reflect the orthodox vision of marriage, at least one couple spoke with love for our LGBT children. The Holy Spirit cannot be silenced. And concerning change….when I was a confirmation teacher, my wonderful students brought up the teaching that church teachings and the church are unchangeable. I shared my vision of the Catholic Church as an organic, living being. Everything that lives has DNA and that DNA is the same from conception through decomposition. Although the DNA doesn’t change, in our lifetime, these vessels that contain the DNA evolve and grow. I believe this is the same for the Catholic Church.